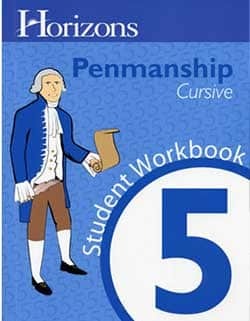 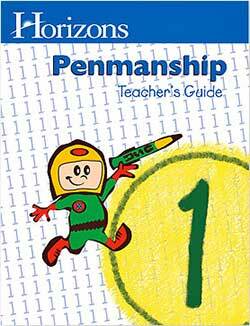 Each set includes a Teacher’s Guide 1 and one Student Book 1. 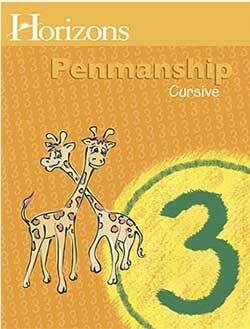 Learn “correct letter formation, proper stroke and posture, word spacing, and basic capitalization and punctuation” in Horizons Penmanship 1. 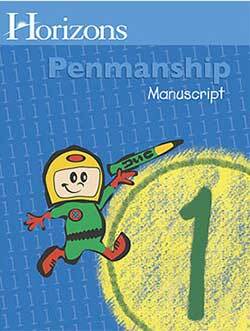 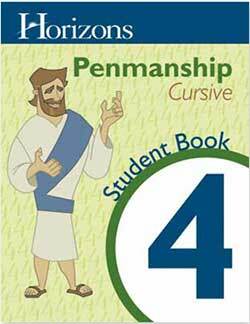 The Horizons 1st Grade Penmanship Student Book is a full-color, Bible-based student workbook that contains 160 lessons with easy-to-learn manuscript writing exercises for upper- and lower-case letters and words, numbers, punctuation, and more! 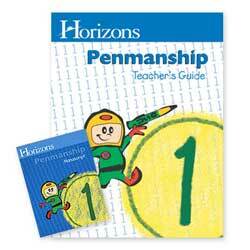 The Horizons 1st Grade Penmanship Teacher’s Guide contains step-by-step lesson plans, practical teaching tips, and fun-filled activities for each of the 160 lessons. 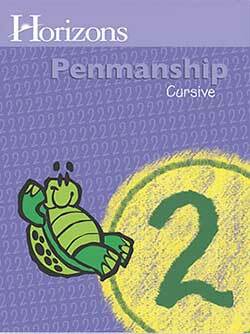 Reproducible practice pages and answer keys are included.